NOT Stan Lee on Jeopardy! Jeopardy had a fun category the other day. 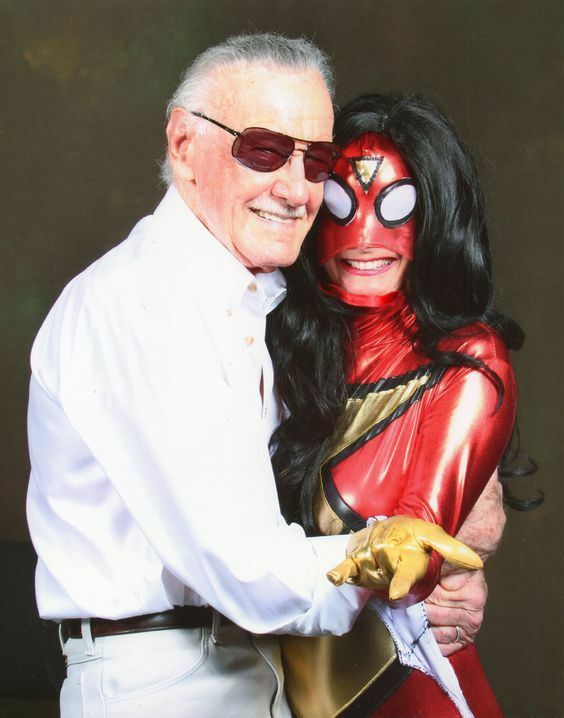 The column heading was "No Stan Lee Cameo" and the contestants had to come up with the names of movies that sound like they were based on a Marvel Comics property but in fact were entirely unrelated to comics. One of the five clues remained unchosen as the round ended but the films that did get named during the play of the game were Kiss of the Spider-Woman, Red Dawn (because there are Wolverines in it), Nightcrawler, and Fury. Nice gimmick, Alex Trebek! 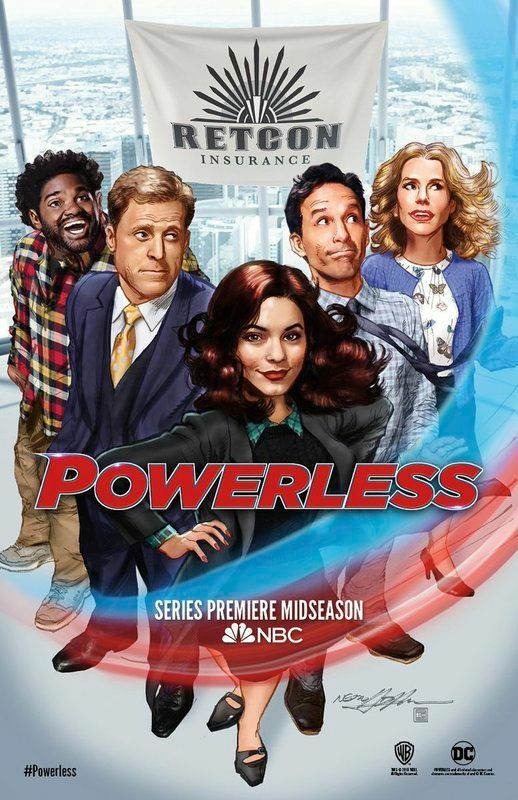 The new NBC comedy Powerless debuts in February and features some characters from DC Comics. That we knew already but did you realize that there is a promotional poster for the show drawn by Neal Adams? I saw the artwork for the first time yesterday and thought you might like to see it also. 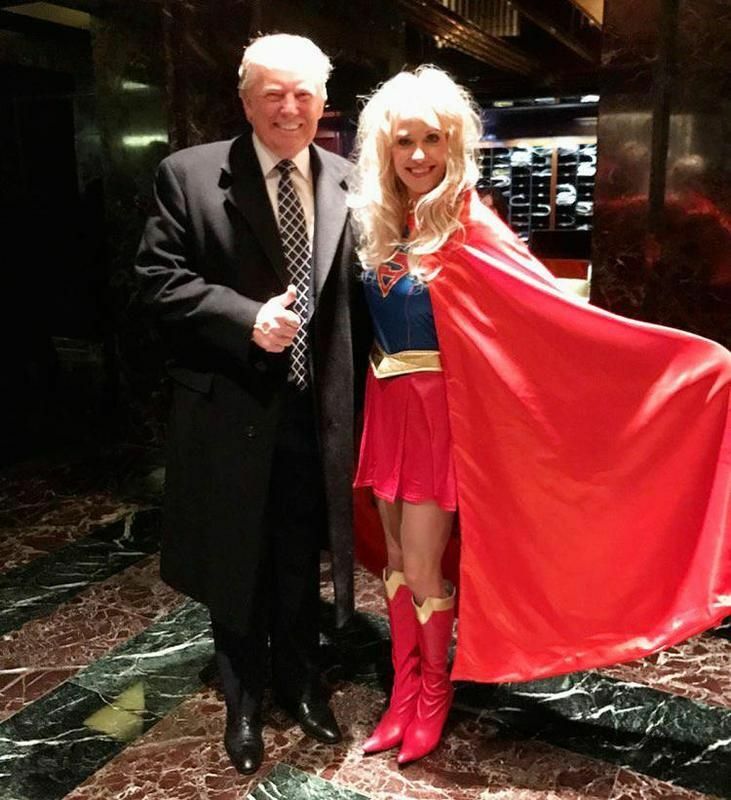 Over the weekend Donald Trump attended a "Heroes and Villains"-themed party and was pleased to meet Supergirl there. I once attended an Artists Party and felt very fortunate to be included as part of the group and I'm certain President-elect Trump felt the same way about attending a costumed heroes party. When asked by reporters what hero he was dressed as, Mr. Trump reportedly replied "Myself." This article is coming soon!